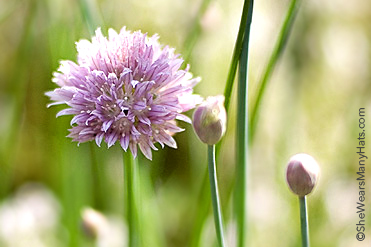 A few handy tips and information for growing chives in your garden. Chives make me smile. They’re so happy and perky—the little sprite of the garden! A thinner, milder version of green onions and scallions, chives not only add flavor to many dishes but a lovely texture and color to the garden. As much as I enjoy chives I have noticed that other than an occasional topping for a salad or potatoes, I tend to overlook the chives, while the cilantro, basil, thyme and others get all the attention. That doesn’t seem quite fair, does it? Especially when chives are such a dependable and easy going plant. Did you know that chives have natural insect repelling properties? 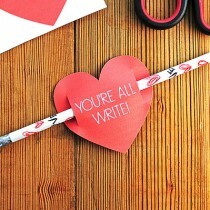 Yes they do! Plant them next to roses to help prevent aphids. As I mentioned, chives are dependable. They are a hardy perennial, with tolerance for most cold and drought. Chives can grow in most garden soil types, so it’s easy to grow a supply of chives in your garden or a container. As far as culinary uses, chives tend to lose their flavor when cooked for long periods of time, that’s why they are best when used as a garnish, but not just for potatoes or soup. What about scrambled eggs or quiche? Potato or pasta salad? Or perhaps salsa? A vinaigrette? Chicken salad? Compound butter? 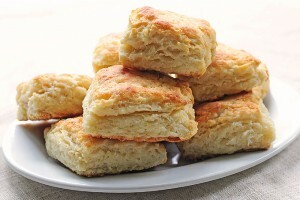 Or maybe Sour Cream Cheddar and Chives Drop Biscuits? All of that sounds very nice to me. I’m so thankful for the chives. Dear chives, Thank you for being you. I promise not to overlook you anymore. I promise to appreciate how you adorn the herb garden. I may just plant some more of your friends to spread your joy all over the garden and landscape. Chives are a perennial and a member of the onion family. Set chive plants out in early spring, spaced about 8-10 inches apart. If growing from seed, plant about 1/4-inch deep in early spring as soon as soil is 60-70-degrees F. Thin seedlings to about 4-6 inches apart. Chives like full sun the best but will also thrive in partial shade especially in warmer climates. While chives will tolerate most soils, they grow best in rich, well-drained soil. Prepare soil by adding compost and a all-purpose fertilizer in amounts recommended on packaging. Chives grow well in containers and are great to use as a perennial in your flower beds. 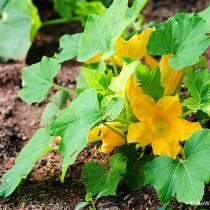 To encourage growth of leaves, pinch off flower buds. To harvest snip leaves to about half an inch tall. Flower buds are also edible. Just pinch them off to add as a nice garnish to salads or soups. Chives will multiply if flowers are allowed to seed out. Mature plants can be divided and transplanted every few years. 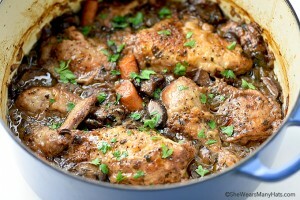 What is your favorite way to use herbs? Is there an herb you are interested in growing? Or do you already have some that are doing well? Originally posted April 27, 2010. Updated June 9, 2015. I tend to overlook chives too. I do have a memory of being a small child and my mom using chives in eggs or something. She grew it and I must have helped her pick it or something. She died young and I don’t think I’ve had chives since, though I always use cilantro or parsley. Hmmm. You have me rethinking chives now. I’ll have to get some. Or plant some! Mmm, chives! Your photos are gorgeous 😀 The flowers are so pretty! I’ve always enjoyed going out and cutting herbs in my little kitchen garden and chives are one of my favorites. Aren’t their little purple heads just too pretty?! I love that they make it through the winter and are ready to use long before the sage or thyme or basil is available to buy at our garden center. I use the chives in a garlic/olive oil/vegetable pasta saute. I use it in salmon cakes fried in olive oil…I use it in egg salad sandwiches…I use it in green salad…tomato salad…seems like I used it in a tuna casserole once. That didn’t turn out well. I didn’t know about the Roses and aphids thing and you’re right, looks like someone didn’t inform those aphids either. Your photos are beautiful. That’s it. I am planting chives. If the weather ever warms up here. My garden soil is all ready, now we wait. And wait. I have some in my garden that look just like the ones in your first photo – I love those beautiful flower buds. Time to go snip-snip and use them in my eggs for breakfast. Speaking of eggs – did I tell you that we ordered some fertile eggs for one of our chickens? It’s adorable – she dotes on them and we have to take her off the nest for a few minutes a day or she won’t even eat! Let’s keep our fingers crossed that she is that adoring if any of them hatch! Your photos are just stunning. I haven’t used chives that much because until recently, I hated most onions. I love ’em now tho! The photos are wonderful as always. It seems that I have for the most part gotten my herbs off the spice rack in the grocery store. Except for rosemary and parsley lately. The parsley I planted outside from seeds last spring made it throught the cold cold winter and has florished to say the least. It’s pretty to look at and is always commented on by visitors. They too are amazed it survived the winter so green and fluffy. I have had a big pot of chives for years. They require almost no care and just reappear every spring. I really didn’t use them all that much until last spring I started to really look at them. They are so beautiful and when they are new they give off the most subtle oniony scent, From that moment on I rediscovered chives and snip a few almost daily. Chives are a natural with eggs. They add a hint of onion flavor without being overpowering. Try them in plain old scrambled eggs or an omelette with asparagus. They are also great with any kind of potato dish. Perfect with mashed or homefries. For something really special use the tiny chive flower petals over a delicate salad. They are so delicious! Once you get going, you just really can’t stop finding ways to use them. Ahhh… springtime! I even froze the mashed potatoes and used on Shepherd’s Pie. Delish. We use the chive flowers in salads. 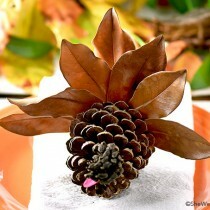 I pull them apart and sprinkle in a spring salad.. so pretty.. and leave a few whole for garnish. Chive butter, chive mayo, chives snipped in biscuit dough, chives on baked potatoes… yumm. I also use chives as borders… I plant a section of spinach, and then a row of chives or onions… and then some lettuce, and another row of onions or chives..that way, it is always easy to see where the different sections of my garden are. 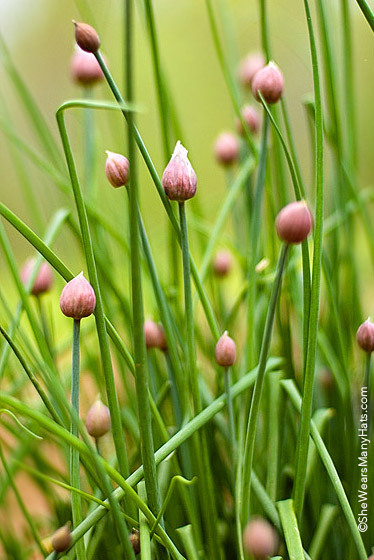 I just stumbled on this post and had to chuckle at your describing chives with the word, “perky” !! 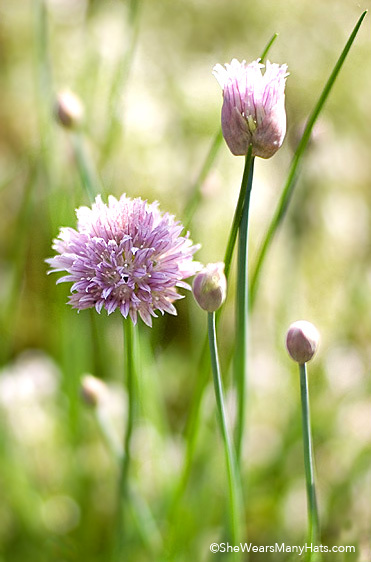 I have used that same term for years and it’s in this post about my love for chives. Glad to know there’s another “perky” chives lover out there!! I too, enjoy my chive plant! This morning I noticed a while powdery something on the bottom of a few stems. I did cut it away. Any suggestions Should it return? Hmmm … it could be a mildew/fungus caused by too much moisture. I love chives and have always had a nice patch in my garden. After moving a year ago, leaving my herb and perennial garden was one of the hardest things ever but I’ve found that most of what I miss is easily grown in a large pot so I’m trying container gardening and they’ve done well. They don’t overwinter like they would in the ground so eventually I want to dig out an area for a real garden but in the meantime, this works. A friend recently moved to Alaska; she and her husband bought their first home and this spring they are finding a bumper crop of wild things all over their property and she has sent out photos asking for help in identifying various plants. I recognized chives…talk about hardy? If it can live in Alaska, it can thrive anywhere! How fun to hear about hardy chives in Alaska! Chives are easy and expand yearly. Great addition to an herb garden. So much easier to “cut” than onions. Just snip with scissors – done!